Yorkshire T20 Blast captain Steve Patterson has urged his team to keep believing in themselves if they want to go all the way in the competition. The Tykes impressed a week ago as they racked up 200 in a convincing 44-run win over Durham, only to fail to fire last weekend as they lost by eight wickets to the Birmingham Bears. However, Patterson says that there is no reason for any panic to set in and that he and his team-mates need to focus on trying to replicate the performance they put in against Durham. He told the Telegraph & Argus: "If we play like we did against Durham, that kind of performance will beat any side, we know that. That's how good we are at our best. "I don't think you can over-analyse it too much and say 'we should be better at this or we should be better at that'. "At the end of the day, in T20, you have to be brave and play with confidence and belief. We just have to stay calm, confident and keep believing in ourselves." Yorkshire are yet to win a domestic T20 trophy, with their nearest miss coming in 2012, when they lost in the final to Hampshire. 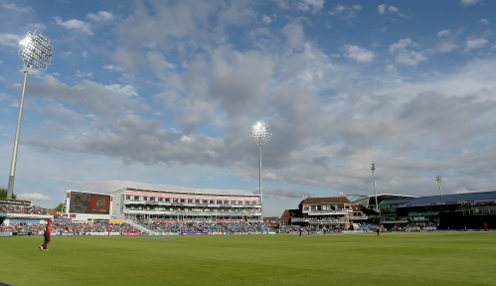 Yorks are 1212/1 to win the T20 Blast this summer, with Hants priced at 1212/1 and Worcestershire 3/1.